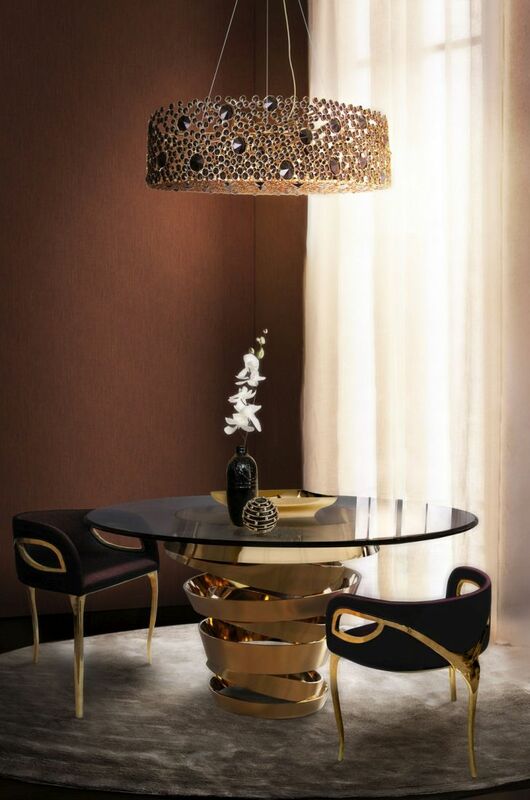 For those who look for something that can provoke the glamorous side of the room, here is the Chandra Chair, a furniture piece brought out by KOKET Love Happens. 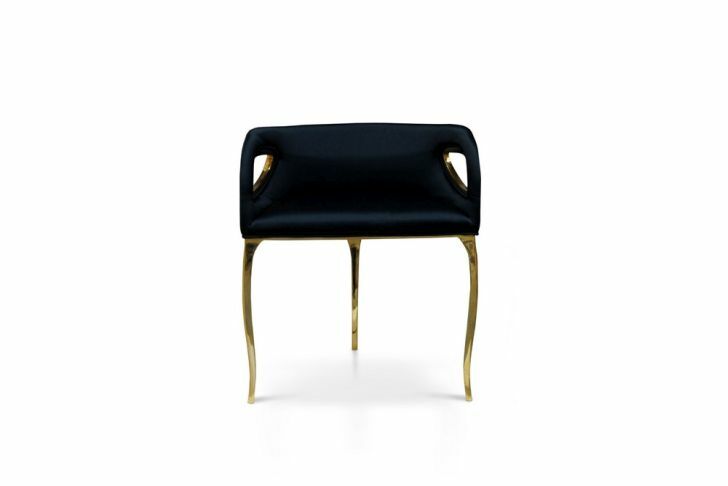 Coming with elegant curves and its uniquely designed three legs wrapped with polish brass, this chair can be a perfect additional furniture for your room. Vintage glam theme will come out right after you bring this chair to your room, as the modern border pushes it out. 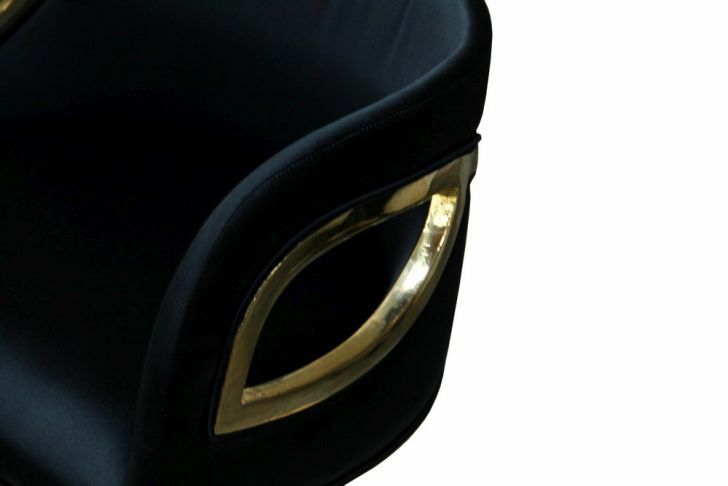 In the meantime, the brass polished frame that gives luxurious touch supports the seat. A contemporary style of the chair can be seen very clearly through the color combination. 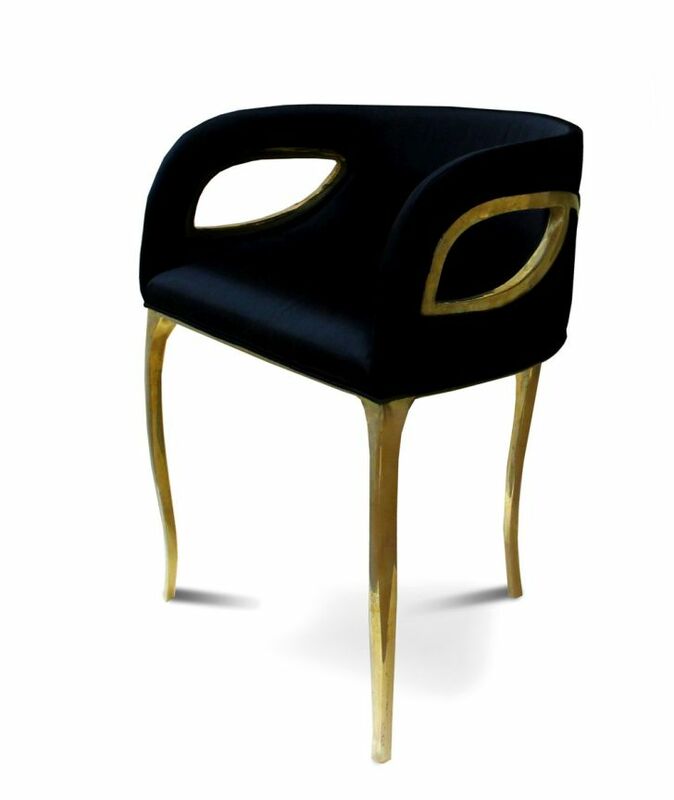 The black that represents elegance of the chair, combined with luxurious gold brass of the legs bring the modern impression to the room. As we can see clearly on the picture, the chair can go very well with many interior design plans. Its adaptability with many interior plans makes it a perfect choice for those who frequently change the interior decoration. The KOKET Love Happens offers three types of Chandra Chair. They are the chair, dinning chair and bar chair. All these three types of Chandra Chair have the ability to be the focal point of the room they are in.